When most people think of the Karoo, the image that springs to mind is of a flat, rather barren landscape stretching for miles on end, dotted here and there with sheep, a few springbok and tumbleweed.  It has a certain beauty, yes, but it is a stark and desolate beauty, with few trees, animals or other signs of life. At Samara, however, this could not be further from the truth. Nestled at the foot of the Sneeuberg – Snow Mountains – Samara is uniquely situated at the meeting point of four Karoo vegetation biomes. These biomes host a diversity of fauna and flora in one of just 36 Global Biodiversity Hotspots, the Maputaland-Pondoland Albany Thicket. South Africa has nine broad vegetation types called biomes. These include Fynbos, home to the famous Cape Floral Kingdom, Desert and Forest. Samara has four: Savanna, Nama Karoo, Albany Thicket and Grasslands. Of these, both Thicket and Grasslands are under-conserved on a national scale. Each biome is home to specific plant, animal and bird species. This coupled with the beautiful landscapes, makes a safari at Samara an ever-changing experience. We’ve put together a simple guide mapping out what you can expect from each biome on your next visit to our little piece of heaven on earth. Hop aboard the game-viewing vehicle and hold on tight as your guide winds up a steep jeep track. At the top of the valley you’ll find thousands of hectares of plateau grasslands, known as the ‘Samara Mara’ for their resemblance to the East African plains. 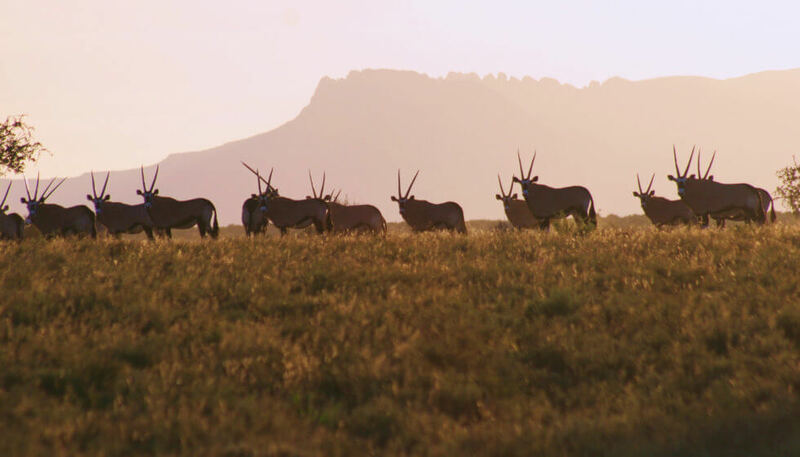 These grasslands offer ideal habitat for grazers such as Black wildebeest, blesbok and Cape Mountain zebra. They contain the highly-palatable ‘Rooigrass’ – Red Grass – which turns a soft pink shade in winter. 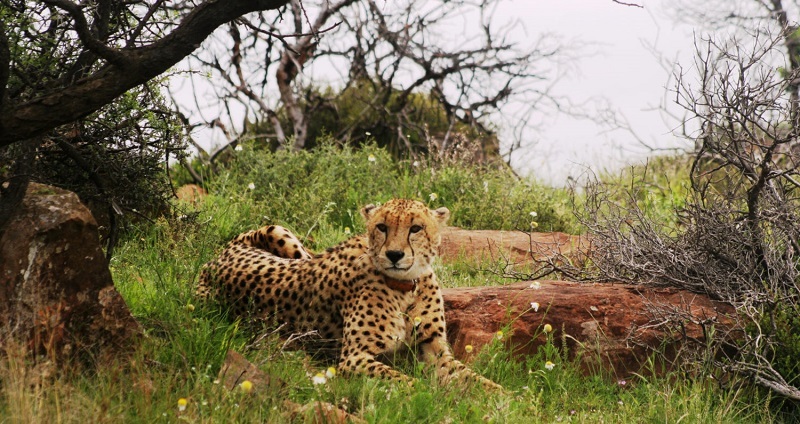 If you’re lucky, you might also spot a porcupine, Secretary bird, or one of Samara’s cheetahs. The grasslands also offer the best vantage point of the plains below, making them the ideal place to stop for a picnic. The Nama Karoo biome is most typically associated with the Karoo. Characterised by grassy, low lying shrubs, this biome receives the least rainfall of the four found at Samara. 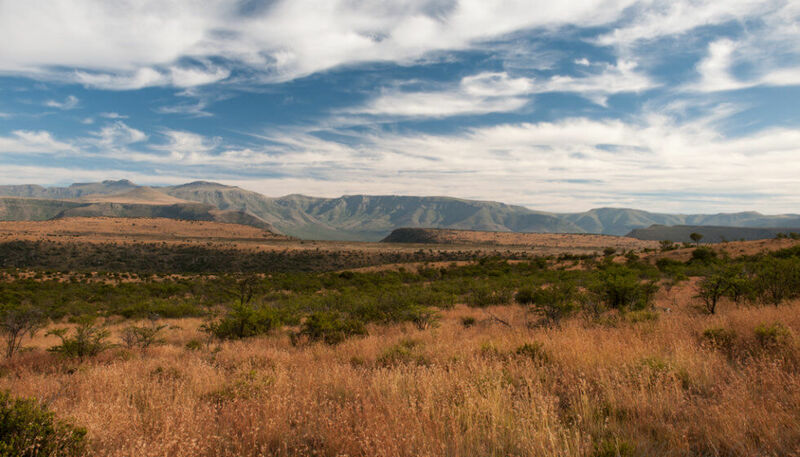 The Nama Karoo is home to a world-renowned fossil record that has been preserved in shale deposits for millions of years. The game typically found in this biome includes large herds of springbok, gemsbok and Burchells zebra, with a chance of seeing Bat-Eared fox and Black-Backed jackal. The winter months bring large flocks of Blue Crane to the area, numbering 200 on occasion. The habitat of the Savanna biome is dependent on the changing water levels of the three rivers at Samara. The tall Senegalia trees that are typical of this biome are able to withstand severe flooding, even when their bases are submerged overnight. Wildlife highlights of this biome include Vervet monkeys, buffalo, Red hartebeest and even giraffe. The Savanna is also the place where you’re most likely to see the elusive aardvark. This is the only biome found in the Kruger National Park. 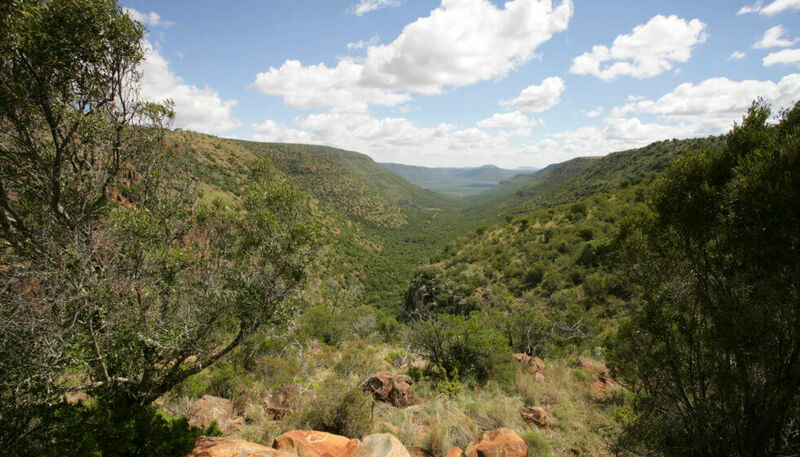 Lining the mountain slopes and cool valleys, this rocky biome is characterised by its dense vegetation and presence of nutrient rich plants such as Spekboom. Its uneven terrain and thick shrubbery means that there is little grass, making it perfect for browsers like kudu, eland and the Critically Endangered Black rhino. 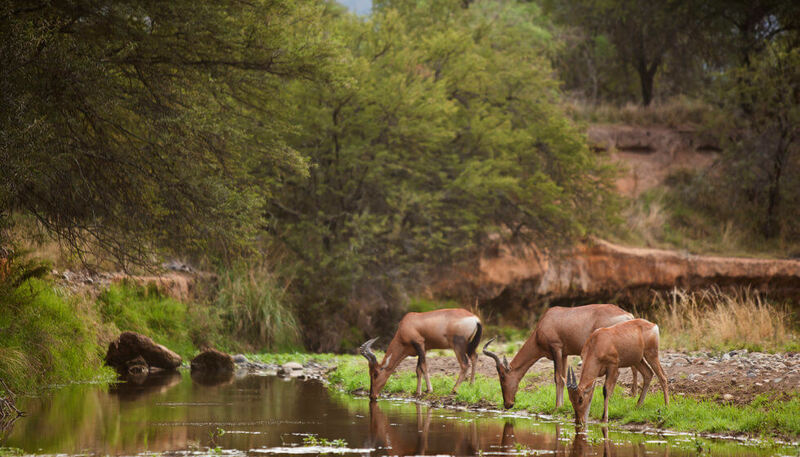 Samara Private Game Reserves offers game drives, guided walks and outdoor dining experiences to get up close and personal with the fascinating landscape.